David Gerhard Dürksen (Duerksen) was born to Gerhard (1814–1880) and Anna (Doerksen) (1817–1881) Dürksen in 1850, as the third of seven children. He was married on November 23, 1871, to Anna Martens. To this union, five children were born. He was involved in the community of Margenau as a teacher for eighteen years and as a minister. He also was a “voluntary” evangelist and preacher for the Mennonite Church. He was an exceptional preacher and has been dubbed the “prince among preachers”. His sermons tended to focus on new birth, sin, and salvation. In 1884, he became accepted into the Mennonite Brethren church and was called to leadership in 1897, for the Spat-Schoenthal congregations. He then moved from Margenau in the Molotschna to Schoenthal in the Crimea. He was ordained by elders Aron Lepp (Chortitza) and David Schellenberg (Molotschna). He supervised the building of 2 new churches in his area. 1887, at Spat and 1905, in Schoenthal. His love and expertise in the education of the Mennonite children was affirmed when he, along with Jacob Kroeker became involved with the commission which supervised teaching of German and religion in the schools. David G. Duerksen died on July 29, 1910, at the age of 61. The records in this collection appear to have come to Winnipeg around 1965. Notes in the collection indicate it came from a Reimer/Thielman family in Sardis, British Columbia to H.F. Klassen, the editor of the Mennonitische Rundschau. A letter from J.C.R. writes about sermons in the Rundschau from his father-in-law. According to an electronic genealogy program, in the Dürksen family, there was only one daughter, Katherine born in 1889. Her obituary was found (Der Bote April 21, 1954) and it was verified that she was born in Margenau, Molotschna and later married a Jacob Reimer. She came to Canada in October of 1925. It is highly probable that the sermons came from this family. Many of the sermons were published in the Mennonitische Rundschau from 1965–1967. Some of these have been clipped out and placed in a scrap book. In August of 1965 H.F. Klassen received a letter from A.J. Klassen who had borrowed some of the sermons stating he was going to use them for his M.A. Thesis entitled AThe Roots and Development of Mennonite Brethren Theology to 1914". This collection consists of sermons written by David G. Dürksen. Many of these have been reprinted in the Mennonitische Rundschau. These can also be found in the collection. A small amount of material has been added later which consists of photocopied obituaries and information about Dürksen and his family. Described by Conrad Stoesz October 18, 1999. “Dürksen, David Gerhard,” in Mennonitisches Lexikon, Volume 1, Frankfurt: Im Selbstverlag der herausgeber, 1913, p. 493. Material about Dürksen. – 1910, 1913, 1953, 1966, 1967, 1999, photocopied [ca. 198-?]. Sermons by David G. Dürksen. – [ca. 1890, 1903–1909]. Sermons by David G. Dürksen. – 1895, reprinted 1970, 1903, 1906, 1910, photocopied [197-?]. 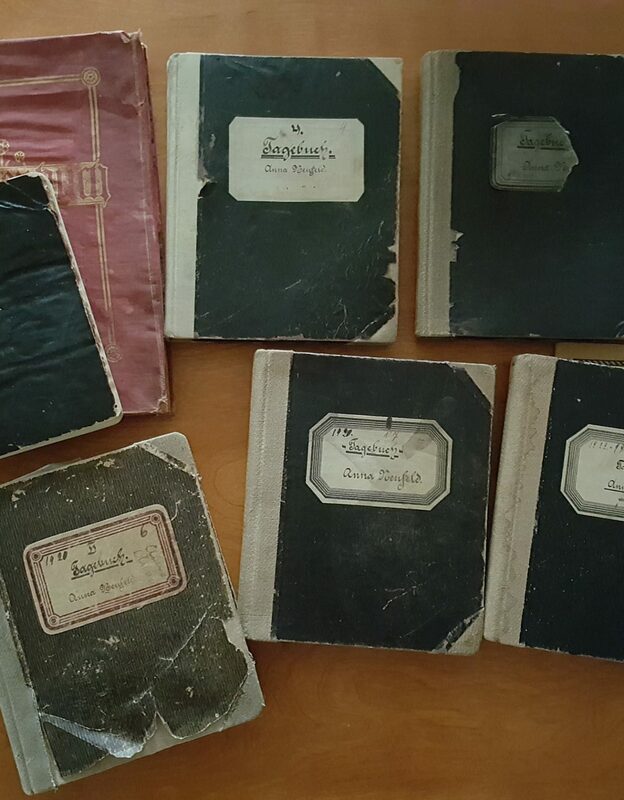 Scrapbook of David G. Dürksen sermons reprinted in the Mennonitische Rundschau. – [ca 1965–1967].